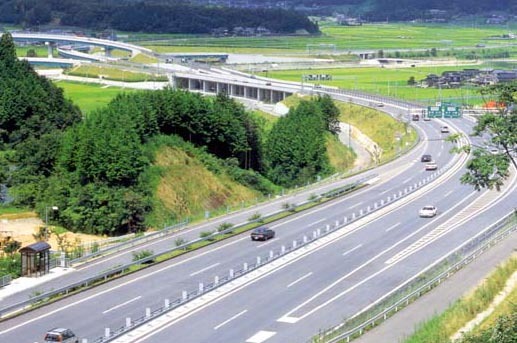 In the wake of the Great East Japan Earthquake and it's enormous toll on government and individuals alike, expressway toll prices (including ETC card prices) are being overhauled in Japan--again. The result is a general increase in the price of automobile travel. We'll explain exactly what changes and how expensive travel will be after the change below. Click here for our post on how to calculate your highway tolls in advance. Abortion of the proposed 2000 yen cap on weekday travel. Extant weekday discounts will continue to apply. Travel during commuting hours (6:00-9:00 and 17:00-20:00) not exceeding 100 km once per day will still be discounted 50%. It will still be possible to (ab)use multiple ETC cards in a row to get this 50% discount over longer stretches of road. Travel beginning or ending at night (22:00-24:00) will be discounted by 30%. Travel beginning or ending from late night to early morning (0:00-4:00) will be discounted by 50%. Travel on weekends and national holidays will be discounted by 50% all day. If you happened to have your primary residence in an earthquake-affected region and drive as part of your job (as in, you ship things in a 5,000kg or heavier vehicle), it is also possible to apply for a pass which will allow you to enter and exit the expressway for free from June 20, 2011 until June 19, 2012. Tokyo says that the extra revenue from this change will go towards helping out post-earthquake recovery efforts. However, some citizens seem to feel that the earthquake just offered a convenient opportunity for opponents of the travel discounts to pull the plug on them. As always, we welcome and comments or questions below. Is there a site which explains the rules in more detail - in English? For example does 'during commuting hours' mean one must enter and exit between 6:00-9:00 or 17:00-20:00? Any other useful info would also be good! First off, thanks for the helpful information. Just wanted to know if these discounts are exclusively for ETC passes or are they applying a few of them to cash as well?